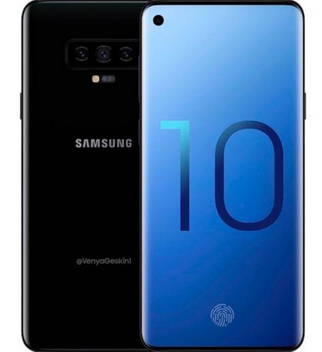 Earlier rumors suggested that the top S10 will have 512GB of built in storage, but fresh rumors suggests that Samsung Galaxy S10 5G variant will come with 4 cameras, 12GB of RAM and 1 Terabytes internal memory. Though we’ve heard of 10GB Ram smartphones like Xiaomi black shark gaming phone but 12GB Ram on a smartphone will be a predator. According to reports from GF securities states that one of the variants of the Galaxy S10 will have 12GB of RAM and a storage capacity of 1TB. Samsung Galaxy S10 5G version is also expected to come with a 3D detection module based on TOF (Time-Of-Flight), which is a technology that calculates depth by measuring the amount of time that infrared light takes to reach the subject and be reflected. This is no more a phone, but a laptop. This is way too much for a phone. Wetin happen? Hmmm 400k loading. Jesus is lord! Believe me if you guys really understand how recent smartphones are built these days you’d know that the 1GB is not even enough. remember, the phone would house 4 Hd cameras and you know how large pictures and videos you take with just 1 camera are. so for me i’d say i’m not surprised. what do you need 12gb ram / 1TB on a phone for? the price will be range rover equivalent..